Starting at 10:00 am, there will be a short speaking program at the Trenton War Memorial. Following this, we will march to the State House Annex Steps, for a few more words and a call to action. Click on each name more learn more about each of the speakers below. Matthew Buckley is the founder of the New Jersey March for Science and a lead organizer. He is an assistant professor of theoretical astrophysics at Rutgers, the State University of New Jersey, studying the particle physics and astrophysics of dark matter — the mysterious material that gravitationally binds galaxies together. He grew up in Manchester, VT and went to Kenyon College in Ohio. He obtained his Ph.D. in theoretical physics from the University of California, Berkeley in 2008, and did post-graduate work at the California Institute of Technology and the Fermi National Accelerator Laboratory. He was hired at Rutgers as research faculty in 2013, and became an assistant professor in 2015. He writes and tweets about physics at www.physicsmatt.com and @physicsmatt. Kimberly Cook-Chennault is an Associate Professor in the Mechanical and Aerospace Engineering Department at Rutgers University. She holds BS and MS degrees in Mechanical Engineering from the University of Michigan and Stanford University respectively; and a PhD from the University of Michigan, Ann Arbor. Her research interests include design of integrated hybrid energy systems and investigation of the structure-property relationships in ferroelectric, dielectric and piezoelectric materials in the form of thin films and bulk composites for sensing/actuation and energy storage/harvesting applications. Dr. Cook-Chennault’s research group, the Hybrid Energy Systems and Materials Laboratory, conducts work towards understanding the fundamental mechanisms and processing parameters that allow for the control of physical material characteristics. In addition to this work, Dr. Cook-Chennault is the director of the Green Energy Undergraduate Program (GET UP) program which is funded through the National Science Foundation. Rev. Dr. Linda Lillian Kroouze DuBreuil is the Pastor of Faith United Church of Christ in Union, New Jersey. She is graduate of Rutgers University and New Brunswick Theological Seminary. Dr. DuBreuil has also had careers in theater, business, and education.The central theme of her life has been one of service and dedication to social justice issues. She is a frequent speaker at interfaith events and public forums as a community activist and advocate. A native of Bristol PA, Dr. DuBreuil has lived and worked in Union Township for over 12 years. On March 8, 2017, she was honored as the township's Woman of the Year. Dr. DuBreuill is delighted to be a part of the NJ March for Science steering committee. As person of faith, she does not find science to be at odds with her beliefs. In fact, she has told the committee, "I delight in understanding the intricacies of science as I am amazed by the God who set it all in motion. Faith and science complement each other!" Governor James Florio is a Founding Partner of Florio Perrucci Steinhardt & Fader and is based in the Phillipsburg, New Jersey office. Mr. Florio is Chairman of the firm’s energy, environmental law, government and regulatory affairs and the healthcare law groups. Mr. Florio is a Senior Fellow for Public Policy and Administration at the Edward J. Bloustein Graduate School of Public Policy at Rutgers University. He also served as Chairman of the Board of Directors of the Federal Home Loan Bank New York, as Chairman of The Pinelands Commission in New Jersey, and on the Board of Directors of NJ Future. Mr. Florio was the founder and CEO of XSPAND, an asset management company based in Morristown, New Jersey. Currently, Mr. Florio serves on the Board of Directors of the NJ Health Care Quality Institute, is Co-Chairman of the Regional Plan Association's New Jersey Committee, and a member of the Board of Trustees Fund for New Jersey. Mr. Florio entered public service in 1969 serving three terms in the New Jersey General Assembly. He served as the 49th Governor of the State of New Jersey from 1990 through 1994 and in the United States House of Representatives from the 1st Congressional District from 1974 - 1990. As Governor of New Jersey, Mr. Florio’s accomplishments included, among others, signing into law The Clean Water Enforcement Act (1990) which was one of the strongest environmental laws of its type in the United States and The Quality Education Act, which provided greater equity in New Jersey's school finance system. David M. Hughes is president of the Rutgers AAUP-AFT faculty union. He serves on the National Council of the American Association of University Professors, the Higher Education Policy and Planning Committee of the American Federation of Teachers, and the Higher Education Leadership Council of New Jersey. Hughes is also professor of Anthropology at Rutgers University-New Brunswick. His most recent book is entitled Energy without Conscience: Oil, Climate Change, and Complicity. Assemblywoman Pamela Lampitt has represented New Jersey’s 6th Legislative District since 2006. She currently serves as the Chairwoman of the Assembly Women and Children Committee. She is also a member of the Assembly Financial Institutions Committee, where she serves as Vice-Chair, and the Assembly Appropriations Committee. As the Chair of the Assembly Women and Children Committee, Assemblywoman Lampitt has been at the vanguard of key policy issues affecting New Jersey's middle-class and working families. She is New Jersey's leading champion of equal pay for women, and she has sponsored a landmark package of legislation to enact pay equity in New Jersey. Assemblywoman Lampitt also authored New Jersey's law preventing workplace discrimination against pregnant women. Throughout her leadership of the Women and Children Committee, the Committee has covered topics including: preventing domestic violence, raising awareness about child obesity, empowering parents through ratings systems for violent video games, job creation, supporting women-owned businesses, and more. Originally born in Natick, Massachusetts, Assemblywoman Lampitt has made her home in Cherry Hill for two decades. She received a degree in Culinary Arts and Management from Johnson & Wales University. Employed by the University of Pennsylvania for almost 34 years, Assemblywoman Lampitt currently serves as the Director of Business Services, Hospitality Services. She has been acknowledged by her peers and the institution as a model of excellence winner for Supervisor, and for her participation in the ARCH building renovation and Quaker Days program for newly admitted students. Assemblywoman Lampitt and her husband, Charles, reside in Cherry Hill. They have two children. Laura Overdeck is the founder of Bedtime Math, a nonprofit that aims to help kids love math so they’ll embrace it and excel at it. Her app of playful nightly math problems has been downloaded by over a quarter million people, and Bedtime Math’s after-school Crazy 8s Club has grown to over 90,000 kids in just 3 years. Overdeck is also Chair of the Overdeck Family Foundation, and vice chair of the board of Liberty Science Center. 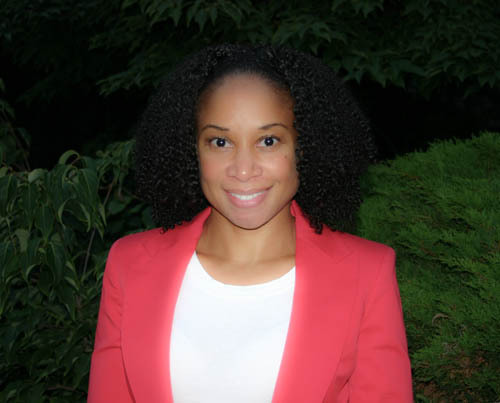 She serves on the advisory boards of Khan Academy, Johns Hopkins Center for Talented Youth, Science Friday, and the President’s Advisory Council at Princeton University. Overdeck is a born and bred Jersey girl who attended the Westfield public schools. She holds a BA in astrophysics from Princeton, and an MBA from the Wharton School of Business. With her husband John and their three children, she enjoys chocolate, dance, extreme vehicles, and Lego Mindstorms robotics. On January 3, 2017, Frank Pallone, Jr. was sworn in for his 15th full term in the U.S. House of Representatives. Pallone represents New Jersey's Sixth Congressional District, which covers most of Middlesex County, as well as the Bayshore and oceanfront areas of Monmouth County. Throughout his career, Pallone has been a leader in protecting the integrity of the Medicare guarantee and Medicaid programs, making the nation’s food system safer, strengthening laws to keep our air and water clean, making health care more affordable and accessible, and supporting initiatives that advance and protect the public health. Pallone is the Ranking Member of the House Energy and Commerce Committee, which has jurisdiction over issues pertaining to energy, environment, health care, commerce, and telecommunications. From 2006 to 2014, Pallone served as the top Democrat on the Committee’s Subcommittee on Health. As Chairman during the 111th Congress, Pallone played a key role in authoring and passing the Affordable Care Act. The landmark law extends health care coverage to millions of Americans, while driving down health care costs and reigning in abusive tactics used by insurance companies to deny medical treatment. Frank Pallone, Jr., was born and raised in Long Branch, New Jersey, where he still resides. He is a graduate of Middlebury College, holds a master's degree in international relations from the Fletcher School of Law and Diplomacy at Tufts University and earned his law degree at Rutgers University. Pallone began his political career in his home city of Long Branch, getting elected to the City Council in 1982 and winning re-election four years later. In 1983, Pallone was elected to the state Senate, representing the Monmouth County coastline. He was re-elected in 1987. During his tenure in the state Legislature, Pallone distinguished himself as an advocate for environmental issues and senior citizen concerns, and prioritized providing constituent services. Pallone and his wife Sarah have three children; daughters Rose and Celeste, and a son, Frank. Edward Richardson became the Executive Director of the New Jersey Education Association in December 2013. He is the sixth person to hold this position over NJEA’s 164-year history. Ed joined the NJEA staff in 1994 as Associate Director for Public Relations, and served as the Association’s Human Resources Manager for nine years. Prior to his experience with NJEA, Ed served as Education Policy Advisor to Gov. Jim Florio, as Communications Director in the NJ State Department of Education (NJDOE), and as Acting Director of Government Relations for the NJDOE. After attending the public schools of Cedar Grove, NJ, Ed earned his bachelor’s degree from Michigan State University and has completed graduate studies through Rutgers University. Abdolreza (Shadi) Tahvildar-Zadeh is an Iranian-American scientist and educator. Currently a Professor and Director of Undergraduate Studies in Mathematics at Rutgers University (New Brunswick), Shadi came to the US in 1986 as a foreign student. He obtained his PhD in 1991 from Courant Institute, New York University. He then spent three years as a postdoctoral research associate at the Institute for Advanced Study and at the University of Michigan -- Ann Arbor, before becoming an Assistant Professor at Princeton University. He joined Rutgers in 2000. Shadi’s main area of research is Mathematical Physics, and he is currently working on finding novel ways to reconcile Einstein’s theory of General Relativity with Quantum Mechanics, by establishing a mathematically sound, common framework for both theories. Shadi is a recipient of a Sloane Foundation fellowship, and a member of the American Mathematical Society and the International Society of Mathematical Physics. When not pondering the mysteries of the Universe, he enjoys dancing, cooking, baking artisanal bread, and making cheese. Jeff Tittel has served as Director of the New Jersey Chapter of the Sierra Club for over 18 years. Jeff has been an environmental advocate since he was a child and helped organize a river clean up for the first Earth Day in Hillside in Junior High. His advocacy has advanced environmental protections in New Jersey and his visibility in New Jersey media is unparalleled. Jeff has been involved in every major environmental legislation passing in New Jersey for close to two decades. Just some of his legislative and regulatory lobbying achievements include passage of the California Car Law, the Highlands Act, New Jersey’s Global Warming Response Act, New Jersey’s Fertilizer Law, and New Jersey’s Electronic Waste Recycling Law. Jeff also helped the passage of the private well testing law, passage of the bear feeding ban law; and acquired funding from NJ Governor Whitman for NY acquisition of Sterling Forest. On the regulatory side, he helped the write and design of Category 1 surface water rules, including unprecedented 300 foot buffers for Category 1 surface waters, and NJDEP's Stormwater Rules in addition to stopping a mega rule weakening water protection. Jeff also helped pass a Constitutional amendment to dedicate a portion of corporate business tax for cleanup and redevelopment of brownfields. Prior to directing the New Jersey Chapter, Jeff founded numerous other grassroots environmental organizations in New Jersey, including the Highlands Coalition, and he still serves on many other Boards, such as the Work Environment Council of New Jersey and New Jersey Working Families Alliance. Prior to working at the Sierra Club, he chaired two environmental commissions and was a member on two local planning boards. Despite his heavy workload with both the legislature and NJDEP, Jeff continues to fully support all 11 groups of the New Jersey Chapter, often taking part in fund-raising functions and testimony before municipalities and NJDEP on behalf of group issues. Jeff won the Sierra Club’s National Environmental Achievement Award, the highest award for staff in 2004. Former Governor McGreevey recognized Jeff as such an environmental leader, that Jeff headed the Budget and Management Committee of the Governor's NJDEP Transition Team. He also served on the transition team of Governor Corzine. Jeff also receives tremendous recognition throughout New Jersey as an environmental leader including the New Jersey Friends of Clearwater, Conservationist of the Year Award from the New Jersey Audubon Society, and Toshi & Pete Seeger Wetlands Award for Protecting the Meadowlands. President Obama appointed Jeff to the NJ Sandy HUD Taskforce Advisory Committee and he was appointed to the FEMA Sandy Natural Resources Committee. NJ Monthly has consistently rated Jeff the top most influential political leaders in the state. He was named by the Star Ledger as Most Influential People in New Jersey and also was listed on the New Jersey Politics Power List, the only environmentalist to do so. Jeff is truly an inspiration to all environmentalists throughout New Jersey. Andrew Zwicker is a lifelong New Jersey resident, a physicist, and Head of Science Education at the Princeton Plasma Physics Laboratory. In his role at the Lab, where researchers are developing an advanced form of energy, he has worked with hundreds of teachers and students, inspiring professionals and the next generation in the promise of technology. He serves as a faculty adviser at Princeton University for freshmen and sophomores. The American Association of Physics Teachers named him as one of the country’s top 75 “Leading Contributors” to physics education. Andrew was born in New York City. Raised in Englewood, NJ, where he graduated from Dwight Morrow High School, he went on to receive his B.A. in physics from Bard College, and his M.A. and Ph.D., both also in physics, from Johns Hopkins University. His post-doctoral work focused on fusion energy research at the Princeton Plasma Physics Laboratory, at Oak Ridge National Laboratory, and internationally. Besides his role as the Head of Science Education at the Princeton Plasma Physics Laboratory, Andrew is also an academic advisor at Princeton University, an academic-athletic fellow for the women's soccer team, a part-time lecturer in the Princeton University Writing Program, and the President of the Princeton Chapter of Sigma Xi, The Scientific Research Society. Additionally, he is the Editor for the newsletter, Physics and Society, a publication from the American Physical Society where he is also a Fellow. Andrew lives in Kingston, New Jersey with his wife, Barbara Golden, an elementary school educator in Hillsborough Township, along with their family, and their dog, Rocky.